To show SIAEC positioned for the future. The cover features SIAEC’s plane set in dusk, positioned for the new dawn. The cover was assembled by combining separate photos of the plane, hangar and a stock image of a nice sunrise. 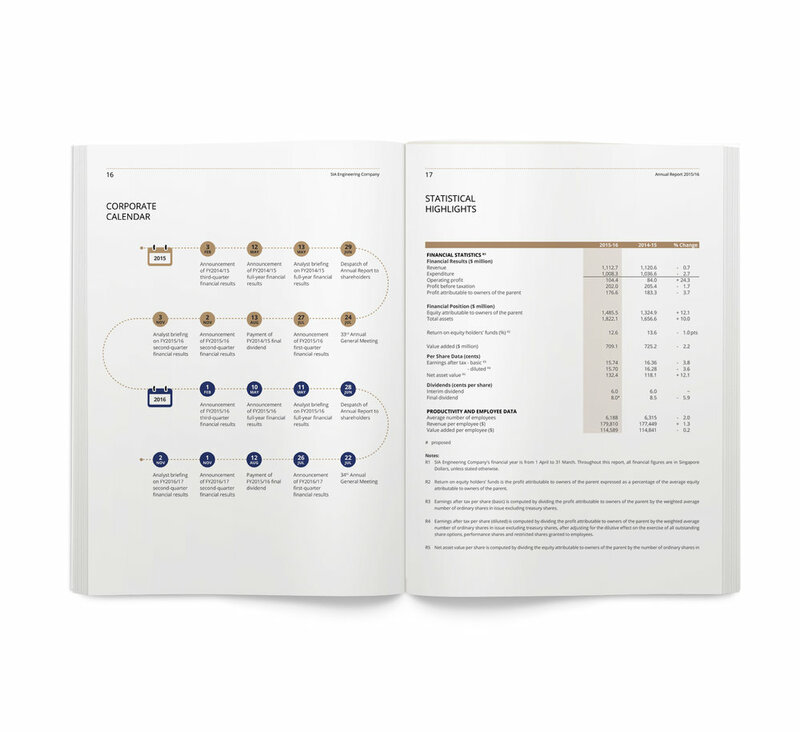 SIAEC’s corporate colours of gold and dark blue are carried out throughout the report.